In another thread Erco issue the challenge that he would produce a robot with a single encoder that would beat a differential drive robot running a figure eight course. 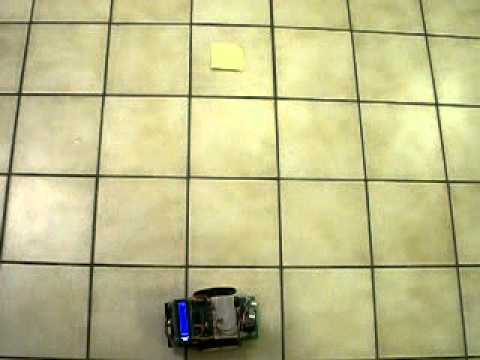 I foolishly accepted this challenge as I have a proof of concept robot I've been working on. But that isn't progressing quite as well as I would like, so in the mean time I figured I'll post my baseline attempt. This is CBA using its wheel encoders to run a figure eight course. I'm using the encoders as wheel speed sensors, so I arc by turning one wheel twice as fast, then even, then opposite wheel twice as fast, then even. I imagine an S2 could beat the wheels off my CBA because its encoders are much more accurate. But someone who owns one will need to do that. Nice job, Pal! I forgot about this one, the last challenge I recall issuing was about a square pattern. 10 feet on a side, 4x 90 degree turns. Remind this old dog what the particulars of the figure 8 course were. Any size? The size of the figure eight wasn't specified, but you were planning a BS1 with a tricycle drive. My problem with the ten foot square challenge is that I don't have a ten foot area to run around in! OK, now I remember that challenge for the simple trike drive. Gotcha. I'll sneak that in between catapult upgrades. I got more forum traction on that project! My bot is in progress, Martin_H, thanks for the kick in the pants. Due to my typical overpromising and time constraints, I'm combining all my simple challenges into one ultra-simple slam-built BS1 tricycle bot: figure 8, 10' square, and 4H pitch. One servo, one drive motor, and the crudest encoder imaginable! Hope to have some video by Sunday night. I'm sick with a cold and way behind schedule. 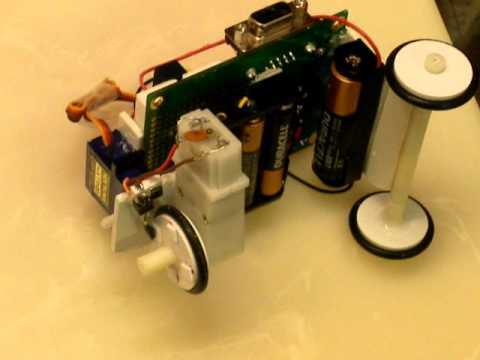 But here's a first look at what my simple tricycle robot with a (WOW!) 4 PPR wheel encoder can do. I haven't tuned the mechanicals yet, but already I'm getting nearly 90-degree turns. The figure 8 will come later, I just had to get something on the board to keep up with Martin_H! Looking good! I could see that being used for line following as well. It wouldn't be as good for maze solving because turning completely around will be tricky. BTW Your insistence that the BS1 still has some life in it made me rethink my view that the BS2 is obsolete. True the BS2 doesn't have interrupts like the Arduino or concurrent processing like the Propeller, but for straight forward linear tasks it's more than adequate. Math is really its only major weak spot because the comparison operators don't understand two's compliment. It almost looks like you could use 1 PPR if the robot was dedicated to just do squares and triangles.. Thanks guys. Don't forget that the steering is servo controlled. Here I only show 2 positions (straight and tight right turn), but I can steer anywhere in between and carve a perfect arc. The limiter is that I can only stop accurately in distance intervals (arc segments) of about an inch. A figure 8 made from 2 perfect circles is next. To do a perfect circle at stop at exactly 360 degrees will require the right combination of turn radius and distance. Sweet erco! I mean, "Sweet!, erco". Your prolific creativeness makes me jealous. It's like you get to play with toys, all day, everyday. With Erco, he goes to work when he comes home, with all those "honey do" jobs around the house. Then again he has to brave the 405 (I'm guessing, anyway). I wouldn't wish that on anyone, even if he does still use a BS1! Gordon: I'm optionally on the 405 for ~3 miles, but that's the least of my worries. What are we gonna do about $4.50 gas? This figure 8 was easy! Pretty dang accurate, too. Not bad for a quickie robot which doesn't even have reverse or speed control! Great Job! Very smooth and efficient. 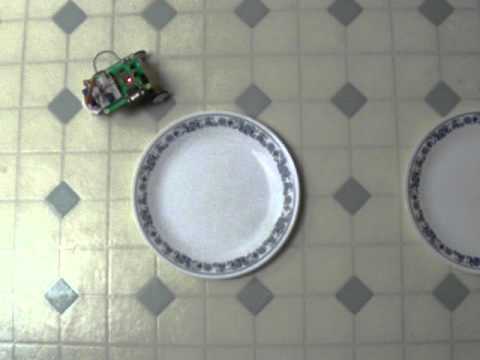 The clicking of the clock in the background adds a bit of suspense Edit: I was just watching the video again and realized that is the reed switch making the noise. Still cool! I think you guys are having just a bit too much fun. I have not really spent any time just having fun with microcontrollers, but I like a challenge and this figure eight challenge seems interesting. Are there any rules that apply to hardware? Nice Job Erco, and I wish I thought of using plates to mark the course. You win as your got closer to your origin than I did while using fewer parts than I did. Bruce, give it a try. This is a free form challenge and the only rule we have is that you make a figure eight. Erco was limited to a BS1 with a single sensor, but others are not. Very nice. I'm working on programming arcs now for my stepper diff drive. I can tell right now that servo steering would make that much easier to do although having at least some ability to just know how far I have turned the wheel without encoders is helpful but obviously not fool-proof. Might give this a go when I have the full deck finished up. 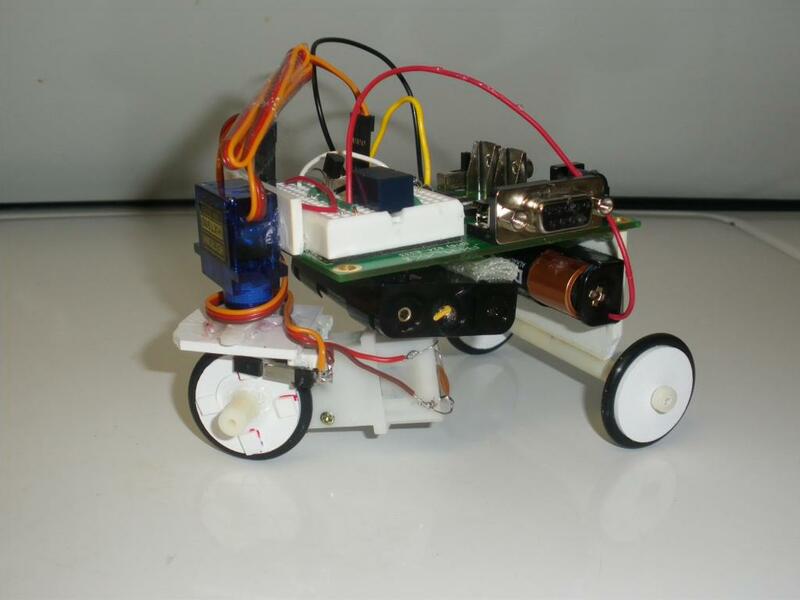 A stepper powered robot means no encoders. You could beat Erco with a robot like that! Are there any rules that apply to hardware? Bruce: Glad to hear you're interested! No hardware restrictions at all. As you know, I'm a minimalist who enjoys getting the most from the least. No one in their right mind would use a mechanical switch as an encoder! When I issued the challenge, I purposely limited myself to a BS1 and one encoder to draw other people in. Most anyone could program an S2 do this "two circle" figure 8 in a minute or two. But homebuilt bots are way more fun, and that's how you learn things, by scratch-building. Hope you and others decide to jump in. Even the definition of "figure 8" is loosey-goosey. Most anything 8-ish is valid, the primary goal is to end up right where you started. You could beat Erco with a robot like that! Hey Pal, whose side are you on? What we don't see are the PINGs underneath the bot following the outer surface of the plates. Yea, I was thinking stepper motors also. Your estimate of "a minute or two" is a little tight, I would estimate at least 3 to 4 minutes to program the S2. oh yes, there is the decision of which program to use, either spin, or the more graphical S2 software. And where's Whit, Scribblerkart & the Gatorbots? They should be able to get an old blue Scribbler around a figure 8 in 10 minutes or less. Howzabout PhiPi? He invented the BoeBot encoders, I'm sure this is a trivial pursuit for him. Or howzabout Matt_G? Perhaps he dismissed the figure 8 as a young man's game...? The ankle shackles keep me pretty much bound to the workbench here. On those few occasions that I break free, Ken makes sure that the laser at my rooms' exit is fully charged. ps. I'm ignoring the "young man's game" comment for now...however, watch yer back! Beautiful, Tommy! Now while you're hot, send Caster's End out for a lap around those dinner plates. Come on, you can do it! Everybody get into the act! 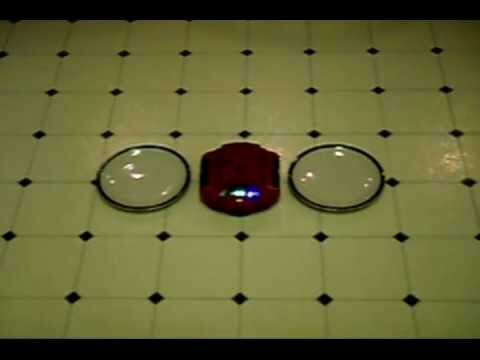 Your homebuilt robot, 2 plates, and a few minutes of quality coding time on YouTube. What's not to like? yah, thats right,.. I'm goin there..